Love chicken wings? Today we are sharing a fall-off-the-bone delicious sticky fingers chicken wings recipe that is perfect when you are craving that sweet, saucy smokey goodness from a BBQ joint. For the sauce we are making our own BBQ sauce using Manwich, a hearty sauce with a sweet and tangy taste. There is no meat in Manwich cans making it perfect for sandwiches, pastas and more. 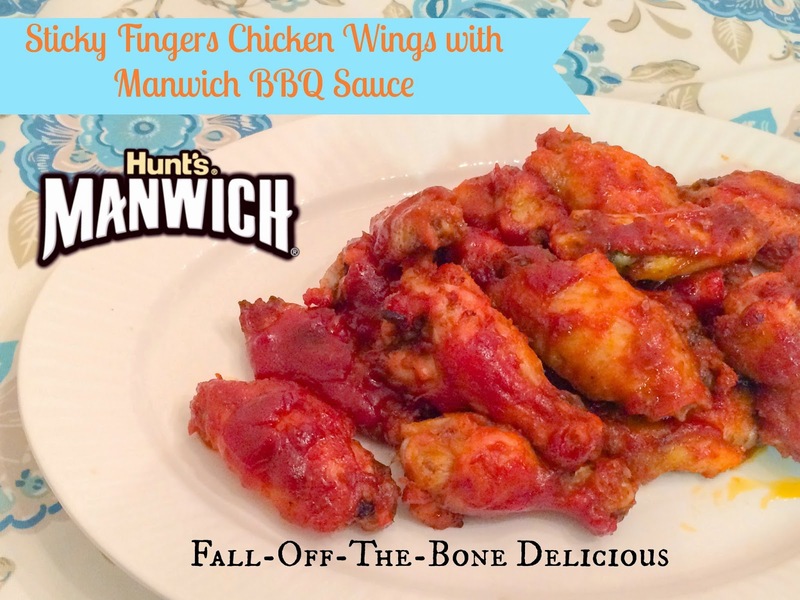 I think the combination of Manwich and chicken wings is something most people wouldn't normally pair together but trust me Manwich has infinite uses besides sloppy joes. 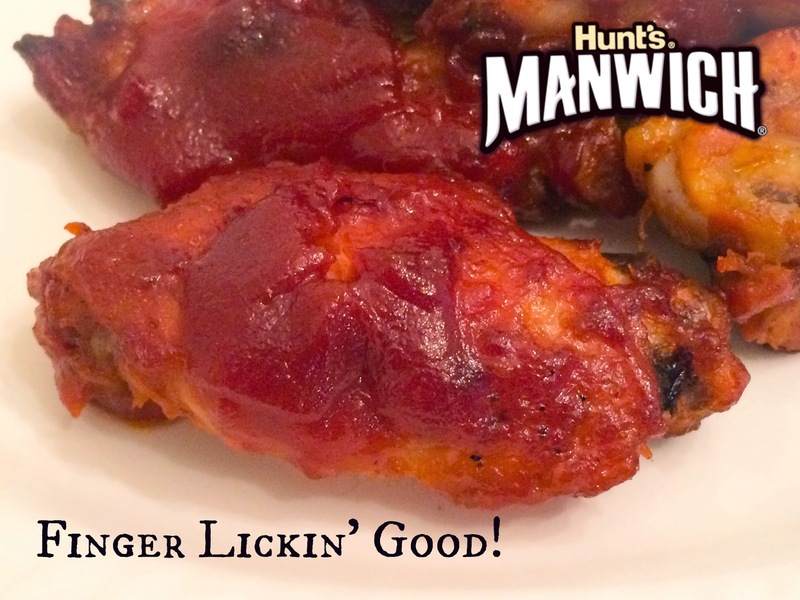 This recipe is an adaptation of the saucy chicken wings recipe from the Manwich recipe page. The key to this recipe is that in order to make the BBQ sauce you need to mix all the ingredients first and cook them over low heat. Place chicken in large re-closable food storage bag. Add half of sauce mixture to bag; close bag and coat chicken with sauce. Refrigerate 1 hour or overnight. Cover and refrigerate remaining sauce mixture. Preheat oven to 375°F. Cover large baking sheet with aluminum foil; spray with cooking spray. Remove chicken from sauce mixture; place in single layer on baking sheet. Discard bag with remaining marinade. Bake 25 minutes. Brush chicken on both sides with reserved sauce mixture. Bake 20 minutes more or until tender. Serve wings with blue cheese or ranch dressing for dipping, if desired. These wings are mild flavored for all-family appeal. If spicier wings are desired, increase the ground red pepper. Manwich is a great product for busy families. The kid-stopping power of Manwich makes meals a messy-licious treat to be enjoyed with both hands – giving moms and dads an easy, quality ingredient to bring the family’s attention back to mealtime and away from everyday distractions. Plus, each can of Manwich is free of artificial flavors and preservatives. Manwich has three different canned sauce varieties: Manwich Original, Manwich Bold and Manwich Thick & Chunky. To learn more about Manwich products, visit the products page at http://www.manwich.com/sloppy-joe-sauce. Need some inspiration? Try the Easy Weeknight Meals! Lots of Manwich Recipes to keep the family happy. 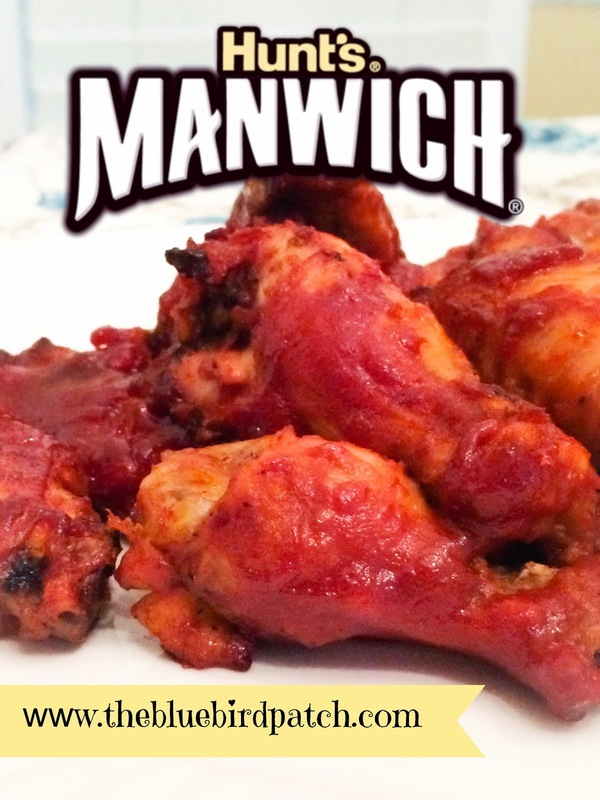 To find Manwich products in a store near you, use the product locator on ConAgra Foods’ website here: http://bit.ly/VccDIV.